The Space Coast of Florida is a hustling and bustling area in which many people live, and many more others come to visit for their vacations. It’s no wonder they do; there are loads of awesome things to do and experience. From incredible cruise tours to beachside helicopter rides and the Kennedy Space Center, the Space Coast has something for everyone, no matter what their age is. Since this area is always flooded with people and cars, driving can be a brutal nightmare. People weave in and out of traffic, and only a few think to use their directional. 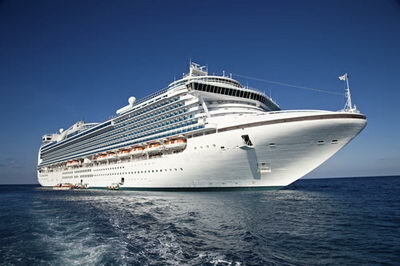 Many visitors opt for hiring companies providing Port Canaveral shuttle service for their groups transportation needs. It’s so much better having a professional limo services driver maneuver through the Space Coast, than have to fight through the traffic on your own. Luxury Transportation Group USA offers complete Port Canaveral shuttle service anywhere in the Space Coast. When a group decides to travel together to experience the variety of excursions available to them on the Space Coast, it can be a big problem trying to get everyone to the right place at the designated time. Getting to the destination at the same time is essential in order to take advantage of the group discounts offered by many venues. One of the Port Canaveral shuttle services companies can ensure that your group arrives together on time, and departs together as scheduled. This will help all of you avoid the headache of trying to figure out why people are late. Of course, a Port Canaveral transportation company can also handle getting the group to restaurants, or any venues of their choosing on the Space Coast. Luxury Transportation Group USA provides complete limo services for groups visiting the Space Coast. When people visit Florida’s Space Coast with a group, they usually want to have a relaxing and enjoy vacation with their families and friends. Driving through the area, and trying to find out exactly where you need to be can be more than stressful. It’s better to hire Port Canaveral shuttle services, than rent a large mode of transportation and fight your way through the roadways. Luxury Transportation Group USA provides complete shuttle services in Port Canaveral. Luxury Transportation Group USA is the premiere provider of professional Port Canaveral shuttle service on the Space Coast. Their experienced and knowledgeable drivers will get you to and from your destination safely and on time. Call 407-476-0429 to reserve a limousine or minibus for all of your Port Canaveral transportation needs.